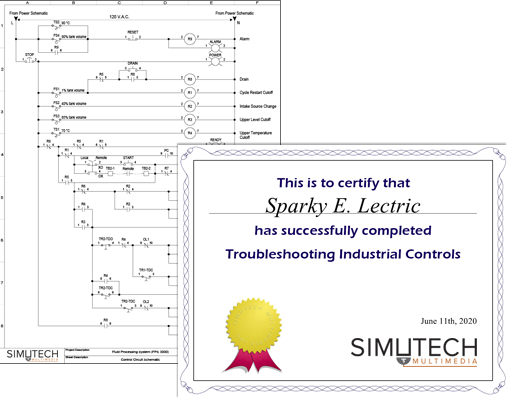 Develop advanced troubleshooting skills required to safely troubleshoot complex industrial control systems with electro-mechanical controls. 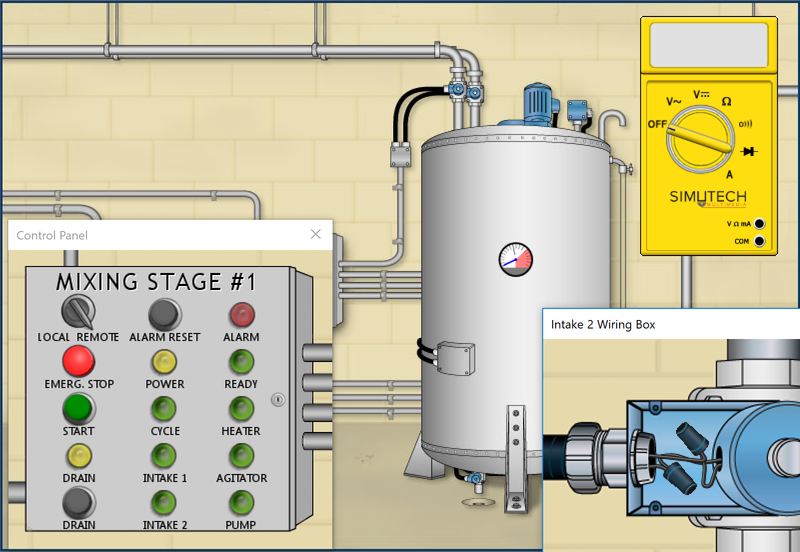 Using Simutech’s 5-Step Troubleshooting Approach, master effective testing methods and techniques for safely troubleshooting malfunctions in a typical industrial control system. 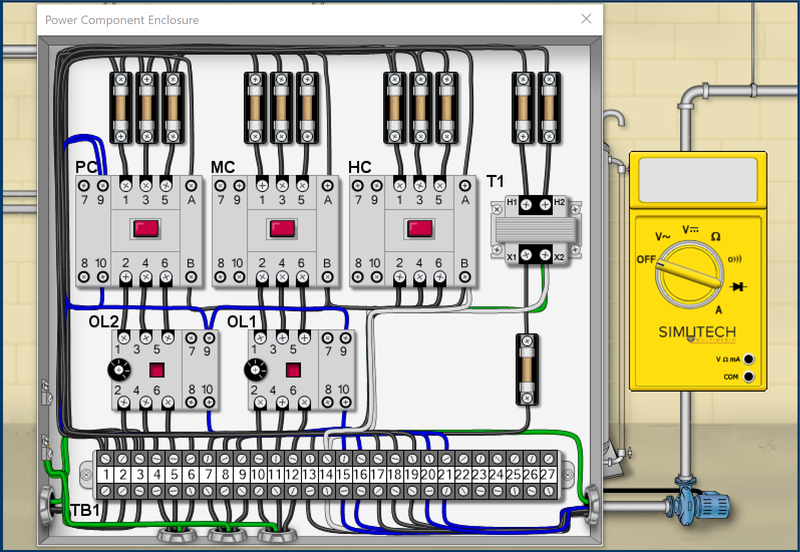 This system simulation gives you the chance to learn and practice new methods as you troubleshoot large industrial processes containing electro-mechanical controls. Troubleshoot complex malfunctions on this simulation of a process for processing fluids. The system uses 480 volts AC three-phase and contains a variety of industrial components such as pumps, agitators, heaters, temperature and float switches, relays, and timers. Modeled on real equipment, the behavior of the system and the components are accurate under normal and faulty conditions. To get the most out of this program, users should have completed the Core Skills Series.